Design trends come & go. Some rise to the top like a shooting star and stay there with the rest of the stars while others burst like comets and fade into the night sky. One so called design “trend” that has actually been around for the longest time has been getting much attention only recently. In fact, even Apple has finally embraced it and has incorporated it in their latest iteration of the iOs. 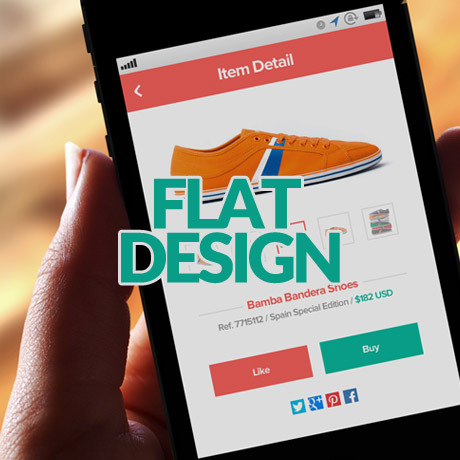 Say hello to the flat design. And it has found its way in many of the newest WordPress themes being released. Here are some examples of WordPress themes that have gone “flat”. Check these out. If you are looking for a WordPress theme that can be used for multipurpose applications and for diverse types of websites, check out Nova Premium WordPress Theme, a clean, flat design multipurpose premium theme that will surely amaze you. It’s got a sample content importer, 14 homepage options, 9 premium sliders, unlimited header options, a page builder, fluid layout, a skin manager, and a short code editor just to name a few. The flat graphics are integrated nicely and they add to the overall professional look of the theme. Impress your clients with this ultra minimalist, boldly simple, flat design WordPress portfolio theme, Showy. Design agencies, creative professionals, and freelance artists will love the simple, uncluttered look of this premium theme that will surely put their creative work in the spotlight. Less is more, indeed. And if it’s a portfolio showcase you want, you have everything you actually really need in this excellent theme. If your’re looking for a fresh new way to present your portfolio in step with the latest flat design trend, Flat Premium WordPress Theme is worth a peek. The horizontal scrolling action gives visitors the feeling that they are going through a glossy high end design magazine. You get a choice of 2 homepage options, flat design interactive social media buttons, AJAX pagination for quicker load time, collapsible side menu, tons of other features, plus it is retina ready (great for images) with an optional retina logo upload field feature. Revusion Premium WordPress Theme is a flat responsive, modern and very professional looking corporate theme packed with features for today’s modern business. Revusion integrates Pixeden flat icons into its design as inspired by the current flat design UI trend. 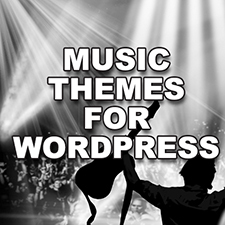 This premium theme gives you several different layout options via its page templates. You can choose to add a testimonial page, a team page, a services page, an FAQ page, a gallery page, aside from the usual blog, portfolio, and contact pages to ensure you can pick exactly what you want to add to your site. 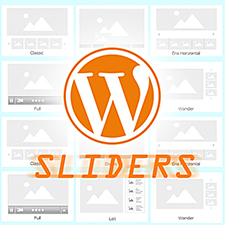 This retina display ready theme also comes with the Slider Revolution Responsive WordPress Plugin. Sistina Premium WordPress Theme is a clean and modern WooCommerce theme, designed with a fresh flat style and with a great responsive and retina-ready design. The cool flat graphic elements, modern typography, and streamlined layout give this theme that modern flair that will appeal to today’s modern shopper. This WordPress theme includes several premium features like the Wishlist and the Compare Products features, the Product Enquiry form (for catalog use sans the shopping cart), the Ajax layered filter, and also a Popup plugin to show offers and news.